Thank you Fender for sponsoring this post about why you should make time for music. 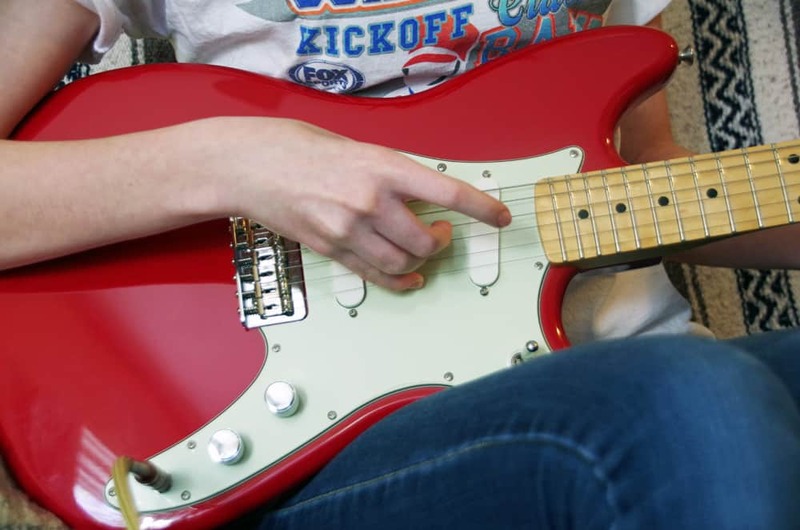 Learn guitar at home with Fender Play! One of the first formal classes I joined with my children was a small music class at our church. The kids were babies and toddlers at that point. The instruments they used were wooden maracas and brightly colored shaker toys. We sang and we clapped and generally had a grand and glorious time for a solid hour. As the children grew up, they brought home the dreaded recorders from school. We signed them up for formal music lessons and they joined the school band. The sounds of rock and roll flow out of their rooms and our collection of concert ticket stubs grows every year. No matter how busy we are with life, we make time for music. And thanks to FenderPlay, it has been incredibly easy to do for the last 6 months! Fender is a well known guitar brand that has been around for as long as I can remember. Not only do they make a wide range of guitars, they also have an amazing subscription service called FenderPlay. My daughter has been using their online guitar lesson feature to teach herself guitar for the past several months. It fits into her busy schedule, allows her to work at her own pace, and offers a wide range of music for her to choose from. My son and daughter have both used the FenderPlay online program and while my daughter loves the Pop music selection, my son’s musical tastes tend towards Rock and Roll. Customized curriculum is based on your musical preference. It’s your path to Play! No matter how new your guitar player is, or where their interests lay, FenderPlay is a great way to help them make time for music every single day! The great thing about FenderPlay is that it is always there for your child. If they are busy but want to pick up the guitar and fiddle around for a while, there it is. After a stressful day or if they are feeling down, it is easy to log in and play right in the comfort of your own home. 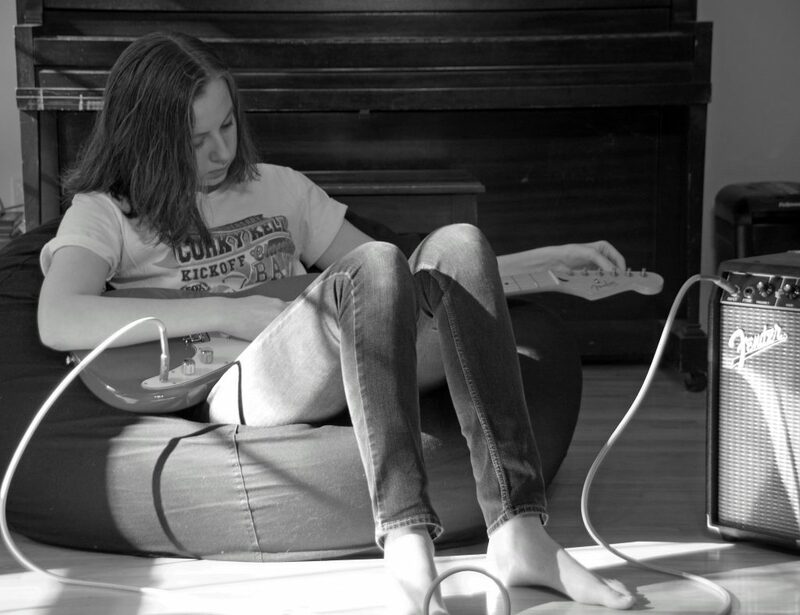 More often than not, my daughter can be found in her room cuddled into a bean bag chair, instrument in hand. It’s easy to make time for music when it is right on your computer! Teens are so incredibly busy today and mine are no exception. Weeks can go by when they don’t have time to pick up in instrument to practice. 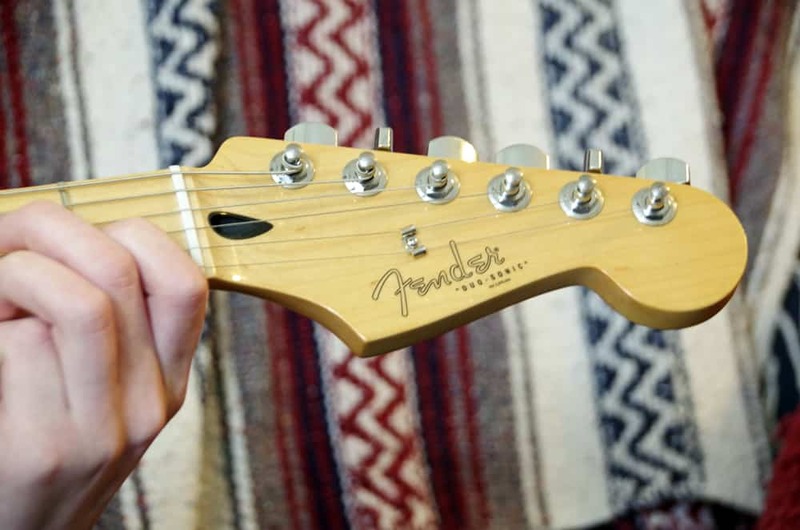 FenderPlay starts with the basics and helps you move up slowly. But, if you need a refresher course, you can go back and relearn the basics again. There is no pressure from a teacher to work harder, faster, or longer. 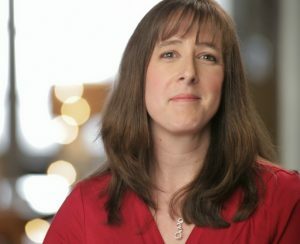 Pressure from a music teacher is what forced my daughter out of piano lessons. I didn’t want her to have to deal with that again and with FenderPlay, it is all at HER pace, which removes the stress and makes playing guitar fun. The great thing about music is that you can enjoy it no matter what your age. Whether it is toddlers with rhythm sticks, teens with guitars, or retirees taking a line dancing class, music is beneficial to every single person. As my daughter navigates the next few years of high school, I hope she continues to make time for music in her life. I know that programs like FenderPlay, that fit into her busy lifestyle, are the best choice to ensure a life long love of music! And music is not just ‘fun’. Kids who learn guitar do well socially – they’re more confident, develop coordination and math skills, concentration and more. I am grateful that my kids both love music and I know that with FenderPlay, they can make time for music when it is convenient for THEM. Without the stress of adding one more thing to their ever growing to do lists. 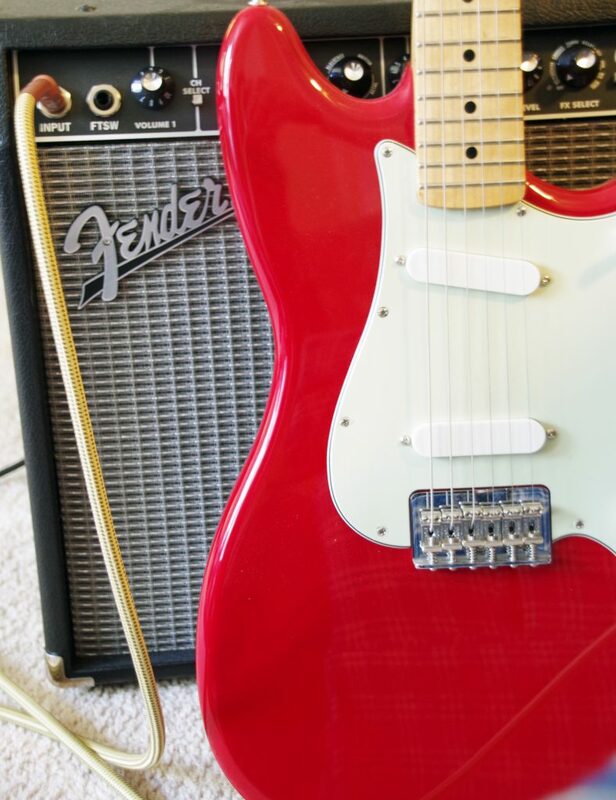 Playing guitar can be a great hobby, especially when Fender makes it so incredibly easy to enjoy! If you are considering music gifts for kids, or are looking for fun new activities for them, I definitely encourage you to check out FenderPlay. Do you make time for music in your life? 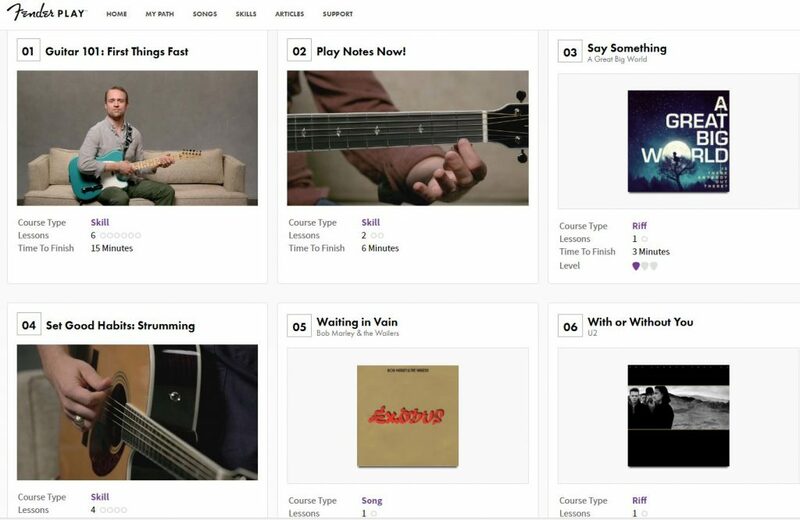 Check out FenderPlay for online guitar lessons! I really like that it's self-paced. It avoids the inevitable whining of traditional-style lessons, and works beautifully with hot and cold schedules. oh we definitely had plenty of whining when it came to piano lessons! What a wonderful resource for both new and experienced guitar players alike! My husband has been playing since his teen years, yet still enjoys learning new skills. I think FenderPlay would be perfect for him! Didn't know this was a thing! My daughter plays the violin and sax (and flute), but has mentioned wanting to try a guitar. We bought her one - have to show her these lessons! That's really neat! What a great way to learn a new skill! All 3 of my kids play piano, but one also plays flute and sax. My two younger one's have expressed wanting to try more instruments, but haven't really said which one(s). This is a really neat way to pick up the guitar! we have quite the collection of musical instruments in our house, too. I can never say no when they want to learn a new instrument!